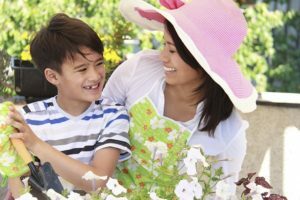 Looking for fun activities that promote learning and to get your child away from TVs, computers, or phones this summer? Half way through the summer everyone struggles to think of new ideas for summer play time. Below are some ideas to cut the cord and decrease screen time. If your kids have a passion for a particular activity, hobby, or subject, make sure you give them the opportunities to explore these passions. This could mean taking them for walks in nature filled areas, visiting museums, bringing them to the library, or free concerts in the park. Encourage them to write about their hobbies. They can create fictional stories or write about the things they’ve been learning. Check your child’s notebook or journal regularly to see if they’re keeping up. Remind them to keep writing, and set goals and rewards. At the end of the summer, they may have filled an entire journal and surprise themselves with their new writing ability. Get creative! Play a version of charades, Pictionary, I spy, or 20 questions with your child. Math is often incorporated into board games, making them both fun and challenging. Choose a game that requires basic addition and/or color matching for a young child. An older child may like a game with higher level counting. Get creative in asking them questions while playing games. For example, “If I give you a $100 bill and a $50 bill towards something that costs $300, how much do I still owe you?” In addition to practicing counting or matching skills, you can also play games that use spelling or require your child to practice describing a word or event. Take your child to historical monuments, local parks, or nature preserves. Some museums offer free admission on certain days of the week. Talk to your child as you visit, explaining the significance of the location and other interesting facts. If they’re bored by a museum or historical society, try getting a little creative with your stories. For example, maybe the Washington monument is a toothpick a giant dropped when he was walking from Mexico to Canada. He is the same giant that carved Mount Rushmore. You can also visit science or history museums. Your child may enjoy playing around interactive exhibits while learning new information outside of school. To make this activity even more educational, have your child write a paragraph or two reflecting on their experiences. What did they learn? Which exhibits were their favorites? 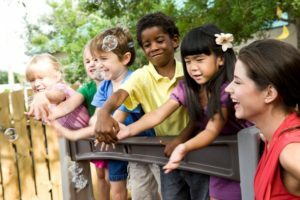 Activities such as sports, exercise classes, music, and art are good ways for your child to learn how to work with others, build creative thinking skills and develop interests outside of school. These types of activities promote self expression, and children can often discover new abilities. You might just bring your child along to your exercise classes, clubs, and group meetings. Children learn about social interaction and incorporating interests into day to day life by watching their parents. Summer is a time to relax, have fun, and develop creativity through unstructured activities as well as free play. Take this time with your child to step outside the classroom and experience hands on learning opportunities.